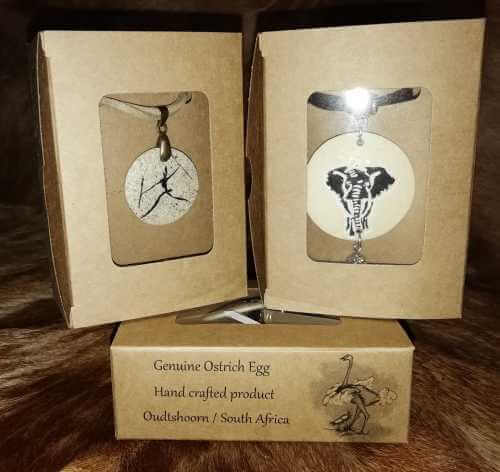 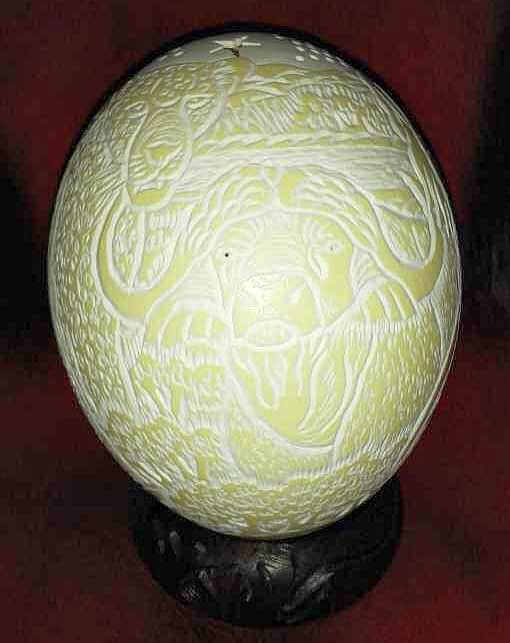 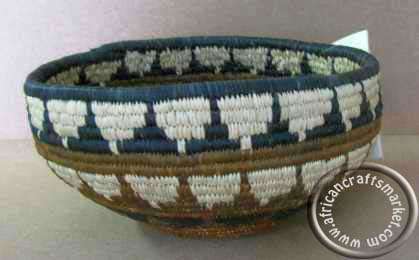 Known locally in South African as Iqoma Bowls which is the Zulu translation. 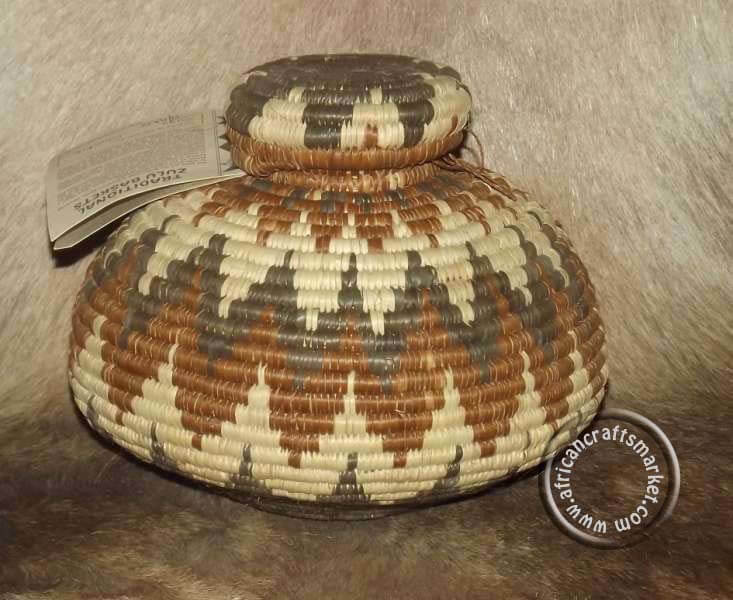 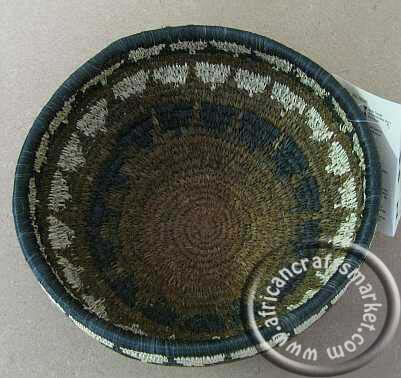 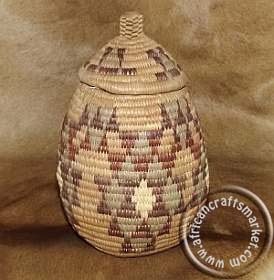 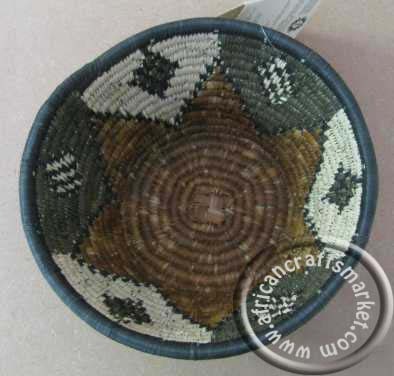 An African Zulu grass woven open bowl that is known by the Zulu people as Iqoma baskets. 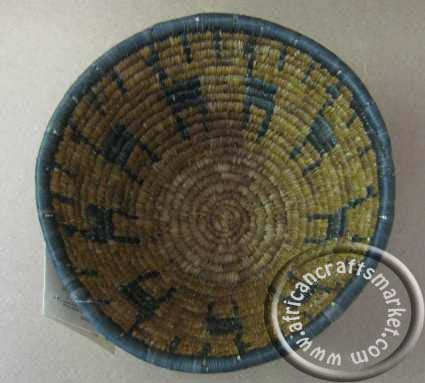 The Iqoma is a bowl-like basket with deeper and inward curving sides used for carrying grain. 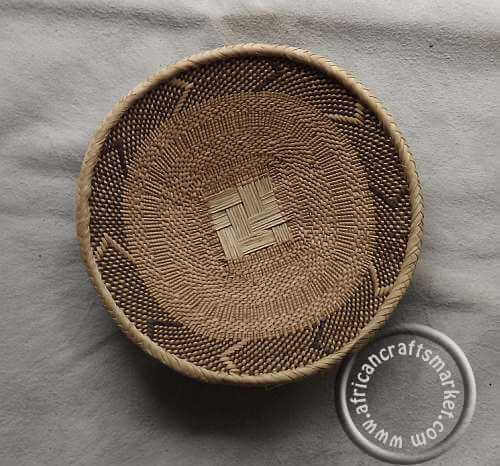 Many have a concave base, which comfortably sits upon the head The Zulu Igoma grass bowl is often water tight and all the colors are natural, obtained by boiling roots,leaves,berries and bark of indigenous flora. 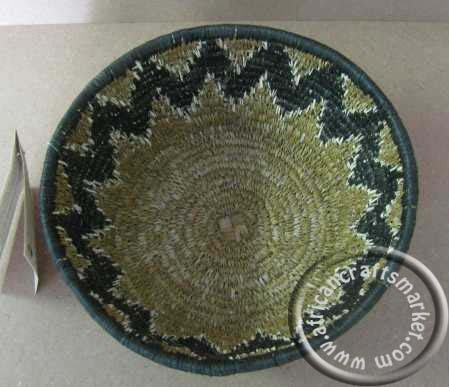 The patterns on the Zulu grass Igoma open bowls symbolize different things. 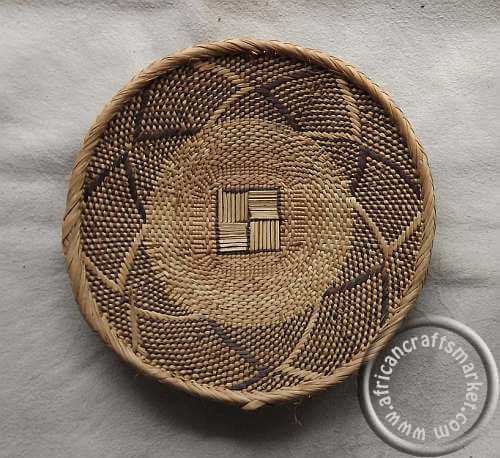 Triangle for Masculine. 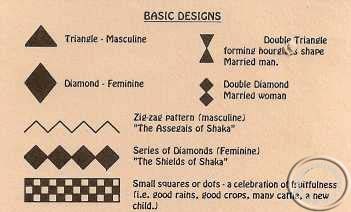 Diamond for Feminine. 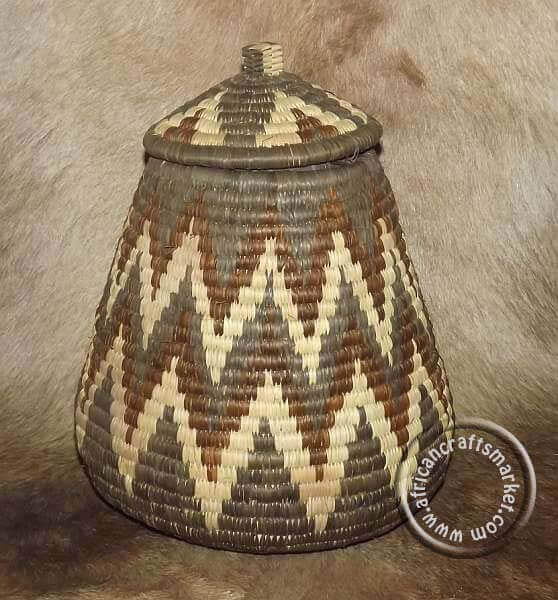 Double triangle forming hour glass shape for married man. 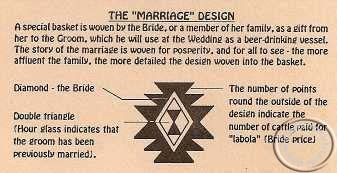 Double diamond for Married woman and many other patterns represent the Zulu tribe.